The Castle is the conclusion to the End Game series and Skye Warren did not hold back on this one. There were quite a few twists that definitely caught me by surprise. There is nothing normal about Gabriel and Avery’s relationship. I didn’t think it could get any messier but I was proved wrong after reading this book. I love how Gabriel’s dark demeanor persisted throughout this series even after fell for Avery. He showed how much he cared for her in his own way without coming off as soft. I felt bad for Avery. So much of what she thought she knew wasn’t as it seemed. I can’t imagine going through what she went through. I seriously fell in love with this world that Skye Warren created and I am sad to see this series end. 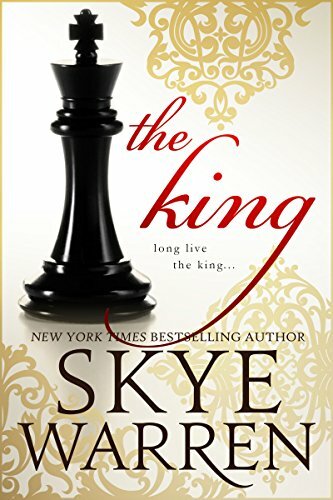 The King is now available for preorder! My father gambles every night, falling deeper and deeper into debt. And when he’s lost everything, he places a new bet–his daughter. I’m his entry bet to the biggest underground poker game.